Hayduke X: I Live Inside A Burning House, your debut LP under this name, is due out in May. Now that it’s all done, are you guys happy with the finished product? Body Void: Absolutely. I think we’ve been striving for a certain sound and idea with everything we’ve done in the past and this record definitely comes closest to capturing that. HX: Tell me about the creation process for this album including writing, recording, production, etc. What is the album about? Is there a consistent thread throughout, or does each track live on it’s own? BV: We started writing some of the songs on ILIABH even before we released Ruins. “Phantom Limb” is actually a song we’ve been working on almost since the start of Body Void, but weren’t able to make work until now. The recording process also took much longer than Ruins. We wanted to take our time with the new album and really work on the details and create a more substantial atmosphere. Also, the songs ended up being much longer, so that just takes a toll as you might expect. The album is about living with mental illness, specifically anxiety and depression. Our previous album dealt a lot with suicide ideation. It was a much more fatalistic, almost speculative album, whereas with ILIABH I wanted to explore the just mundane day-to-day of living with mental illness, trauma, and gender dysphoria. HX: The album cover is pretty bleak, with a mix of hard geometric lines and a more organic figure who appears to be melting away. Is there a message in the cover? Who designed it? How does it relate to the album? BV: The cover art is definitely meant to be a visual representation of the themes and ideas in the album. The juxtaposition of human bodies with the cosmic and molecular is also just a theme that’s central to the band as a whole. The artist is Ibay Arifin Suradi, who designed our previous album’s cover as well. We thought his style fit perfectly with the sonic and conceptual aspects of our music and we were very excited to work with him again on this record. HX: How do you feel you’ve grown since Ruins? BV: Recording Ruins was a huge learning experience. Capturing the live sound we strive for in the studio turned out to be a daunting task that we hadn’t fully wrapped our heads around at the time. We were happy with the results, but with ILIABH we were able to refine our approach to make something that better resembled the sound we are going for. We also just got better at writing songs I think. With ILIABH we really wanted every song to have the feel of a journey so to speak. To have a distinct, separate beginning and end. We kind of stumbled into that with a couple of the songs on Ruins and realized it was a solid direction to go in. HX: This band started life as Devoid. Tell me about those early days. Why did you end up making a name change? BV: I think early on we were a little bit more of a sludgy mid-tempo punk band. The music naturally got slower (and faster) and more atmospheric as time went on. The name change was in a lot of ways purely practical. There are several other metal bands called Devoid and we wanted a name no one else had as well as a name that was a little more specific and evocative. 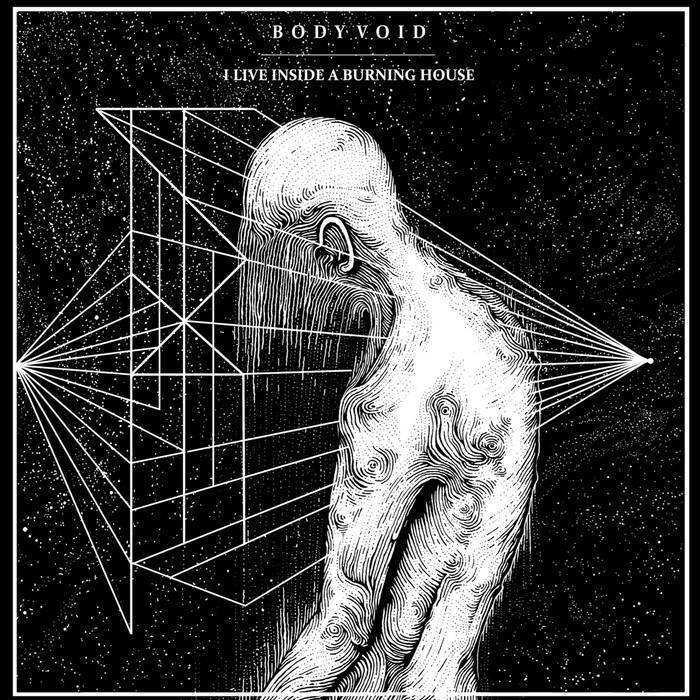 Body Void was originally the title of a song on our second demo that we thought fit really well. HX: The band attempts (pretty successfully, in my opinion) to mesh some genres you don’t normally see put together. There are not many bands that openly try to mesh crust with drone-doom, for example. How and why do you do this? BV: I think we just like to use all the tools at our disposal so to speak. Our influences are pretty diverse and the band intentionally doesn’t have any limitations when it comes to genre, outside the broad definition of sludge or doom, I guess. Bridging the extremes of those genres is also just super fun to figure out from a songwriting standpoint. How to make those contrasts fit together is a challenge we enjoy. I think it also reflects the emotional range we’re trying to conjure. It’s cool to stew in one mood or emotion for a whole song, especially in doom, but I think with each track we want the listener to be engaged as if they’re listening to a punk song even if, in our case, the tempo is barely in motion. HX: On your Facebook page, you list your interests as lots of “anti-“s – anti-sexism and anti-racism are the top two. Why are these important and how do you represent that message as a band? BV: I think it’s important to us to make clear where we stand on those issues even if lyrically our music doesn’t always tackle them head on (there are some exceptions). I’m genderqueer so there’s always an element of that in our music, but the lyrics are very personal and rarely make what people might call ‘a statement.’ These issues are very important to us nonetheless and we want to be unambiguous about them with whatever platform we have. HX: We here at Rage and Frustration are in full support of that mission. What advice would you give to our readers in regards to how to actually make a difference in these areas? BV: I can only speak as a white person and the best advice I’ve received is to, more often than not, be quiet and listen when it comes to these issues. If you are white it’s important to listen and elevate the voices of people of color. Or if you’re a cis man for instance, listen and elevate the voices of women, trans men, and non-binary folks. Use your privilege for good and don’t strive to be at the center of the issue especially at the expense of marginalized people. Don’t expect marginalized folks to educate you. Do that work yourself. Stay in your lane and talk to the white people in your life. These are lessons I’ve had to learn as a person with a great deal of privilege, but I think they’re important. HX: Do you have tour plans in support of the album? Is there any chance we’ll see you out here in Michigan? BV: Yes! We are heading out to tour the country on June 11th and we will be playing Detroit on July 4th. HX: Once the album is out, what’s next for the band? BV: We are constantly writing new music and already have plans for a handful of future releases, including a split that might also be out this year. HX: What else should we know about Body Void? BV: Our music might sound pretty mad but we’re actually pretty chill!